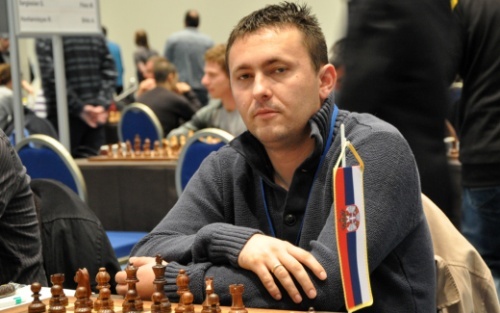 Serbian Grandmaster Ivan Ivanisevic won the 2015 Karposh Open in Skopje after concluding the competition with 7,5/9 points, leaving the group of eight followers half a point behind. The Karposh Open is a traditional chess event organized by the municipality Karposh, Skopje, in collaboration with Chess Club Gambit Asseco SEE. It run from 27th March to 3rd April. The tournament gathered 230 players from 26 countries, including 34 Grandmasters and 30 International Masters. The total prize fund was 16,000 EUR.